The San Ysidro School District Board of Trustees voted on Thursday, March 8, to appoint the former San Diego County Superintendent of Schools to fill their leadership role as they continue their search for a permanent Superintendent. Edward Velasquez, who previously served as Interim Superintendent at San Ysidro in 2014 and 2015, retired as the County Superintendent in June of last year. Velasquez will serve for up to three months as candidates to fill the permanent role apply for the position. “I believe Mr. Velasquez is the right person to help us turn our district around,” said School Board member Rodolfo Linares. “He’s not only a retired Superintendent, but also a retired police chief that has years of experience cleaning up school district,” Linares added. Velasquez will replace Mary Willis, who has served as Interim Superintendent since her appointment on November 6, 2017. Willis is a retired educator and, under the state’s retirement system, can only earn a certain amount of income from a school district each year. Willis will exhaust the allowable income limit by the end of this week. Willis was hired to replace then-Interim Superintendent Arturo Sanchez-Macias after he was accused of financial improprieties, including cashing out unearned vacation days, and an unlawful cash out of a term life insurance policy. Macias, in turn, had become the District’s leader in September 2017 after then-Superintendent Julio Fonseca resigned amid a sexual harassment claim filed by a female District employee he was dating. Fonseca was also accused of the same unlawful cash disbursement as Macias. The District is currently pursuing legal action against Fonseca for the return of nearly $400,000 it paid him upon his resignation. Velasquez was first hired at San Ysidro in 2014 after the District’s Superintendent, Manuel Paul, was indicted and convicted in a wide-ranging corruption scandal. Paul admitted to accepting a cash bride from a contractor seeking work from the District, and eventually served 60 days in federal custody. From August 2016 to May 2017, Velasquez served as the San Diego County Superintendent of Schools, overseeing the 42 school districts in our region. During his tenure at the County, Velasquez lead the county’s schools that educate 10,000 of the most vulnerable students through its Juvenile Court and Community Schools program. 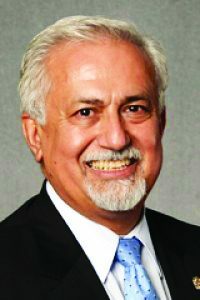 Prior to his work at the County, Velasquez also served as Interim Superintendent at Alpine Union School District and Poway Unified School District. Mr. Velasquez became a teacher in 1978 and has worked as an elementary and middle school teacher, an intermediate assistant principal, principal, associate superintendent, and superintendent, as well as having served as an adjunct professor at California State University at Los Angeles. Mr. Velasquez has also served as Chief of School Police for a school district, and as a reserve office for the Los Angeles County Probation Department. Mr. Velasquez has also been involved with numerous committees and task forces including the Association of California School Administrators (ACSA) Urban Education Committee, State of California Safe Schools Task Force and the L.A. County Safe School Task Force and has received the Humanitarian of the Year award from the Board of Directors and Advisory Council of the Rio Hondo Boys and Girls Club in Los Angeles County. The contract for Velasquez will be negotiated and brought back to the Board at its next meeting. The board voted to appoint Velasquez on a 3 to 2 split, with Board President Rosaleah Pallasigue, and Board members Rodolfo Linares and Marcos Diaz in support, and Board members Irene Lopez and Antonio Martinez voted against the motion.